Devonport Swim Club began life in March 1995 largely due to the efforts of Devonport locals including Sharon Hutchison, Chris Glew, Brian Gallocher and Courtney Kenny. 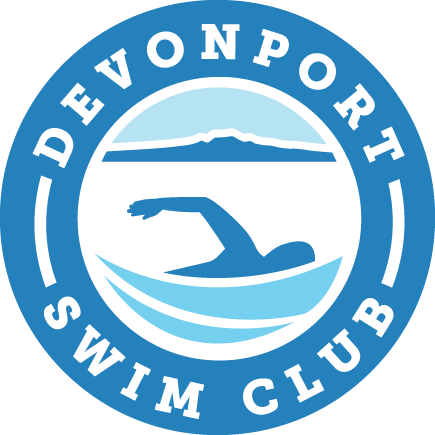 The Club was originally titled the Devonport/Navy Swim Club but changed its name along the way at behest of navy. 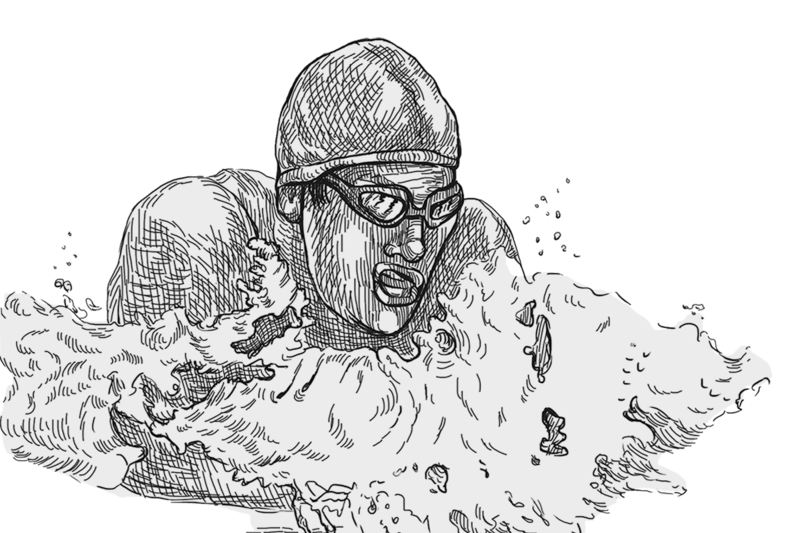 During its 24 year tenure the Devonport Swim Club has maintained and steadily increased coached sessions for masters and junior swimmers and weekend uncoached sessions for masters. One of the foundation members, Tom King, is still winning age group medals and serves on the club committee. Committee member Jack Revill and former DSC President Robin Harrington on form at Cheltenham Beach for the club’s 20th anniversary bash in 2015. 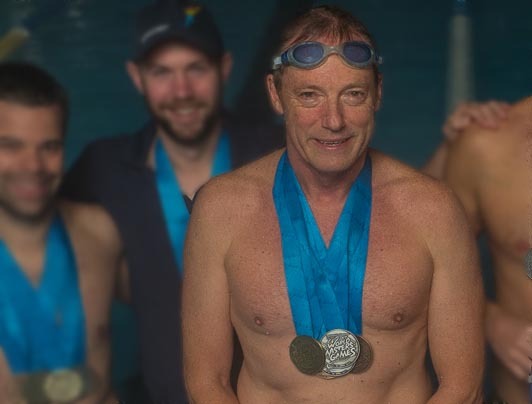 At the World Masters Games 2017 in Auckland, many of our club swimmers, including founder member Tom King won medals. Oddly, the pool owes its existence to the 1951 waterfront dispute. The dispute was the biggest industrial confrontation in New Zealand’s history. It lasted 151 days (February to July) and, at its peak, involved 22,000 waterside workers (wharfies) and other unionists. At the time New Zealand’s population was just under two million people. The West Coast Coal Miners went out in sympathy. The effect on the economy was such that the Government directed the Armed Forces to undertake “any kind of work”. That work included operating the wharves, manning coastal shipping and working in West Coast coal mines. The navy dispatched frigates to Westport where the sailors were put to work in the mines recovering coal to the main port. The sailors drove steam locomotives and become very popular with the local inhabitants (except, of course, with the miners). After the strike was over the Armed Forces were paid for the work undertaken on the wharves and in the mines. The Navy invested in what is now known as “the Central Fund”. 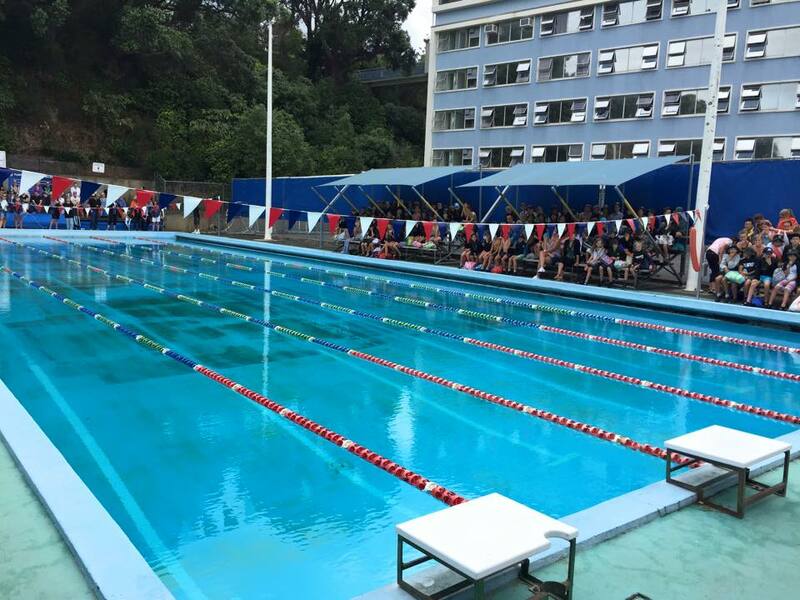 The Central Fund owns recreational motels in Mount Maunganui and Taupo and installed the swimming pool which the Devonport Swim Club uses on the Navy base. The pool was begun around 1957 and opened for use in 1958. The pool is 33.3m (25 yards) in length and in addition to the Navy and Swim Club is used by local schools for swimming carnivals.